Originally all farming was “organic”. Fifty or so years ago the second green revolution swept across the world, introducing chemicals, fertilizers and mechanization, although many small farmers still continued to rely on traditional methods. The second green revolution increased crop yields, but has faced significant backlash as it is seen to benefit mainly larger, and already wealthy farmers as well as transnational corporations (TNCs), at the expense of small farmers. In addition, the processes and materials implemented through the second green revolution have caused environmental degradation. These issues have led many people to believe that traditional farming patterns were better, but the problem still remains that traditional farming does not produce as much food. Now, a third method has been put forward to supplant conventional (second green revolution) and traditional farming practices. It is agroecology. Agroecology is “a science, a movement, and a practice”(Wibbelmann et al., 2013). Agroecology is an approach to farming that emphasizes the inter-connectivity of farms and ecosystems. It’s goal is for farms to support ecosystems, and ecosystems to support farms. Agroecology is an approach to achieving sustainable agriculture. The main idea of agroecology is using scientific knowledge to increase farm production through mostly natural and sustainable means. It often involves the use of natural fertilizers, predators instead of pesticides, modifying the physical landscape to conserve water, encouraging or introducing beneficial bacteria into the soils, and intercropping to avoid negative effects of monoculture. Conventional farming techniques require large inputs of water, pesticides, and fertilizers, and rely on monocropping. This degrades the soil, which requires increasingly large chemical inputs. Conventional farming also often requires deforestation, while intercropping with trees can make farms carbon sinks, while also stabilizing the soil to protect it from erosion. In addition conventional farming only takes into account economic productivity, while agroecology accounts for effects on the ecosystem and social factors. Agroecology emphasizes social cohesion and the local community, with most farm production staying in the same region, as opened to being exported. Agroecology is mostly designed for and used on small farms (Wibbelmann et al., 2013). One of the main concerns about agroecology is its efficacy in production and by extension its economic viability, especially in developing countries. Recently, researchers from the geography department of the University of Montreal conducted a study on agroecological versus conventional farming practices in four villages in Cameroon. Their research concluded that most farmers using agroecological techniques were seeing rises in crop yield. However, wealthier farmers who used conventional methods still saw larger increases in yields. The paper concluded that for most farmers agroecological methods would be more beneficial than conventional methods, but still face many limitations. One proposal the authors made was that Cameroonian farmers would benefit from more scientific knowledge of ecosystems and biochemical processes to complement their traditional knowledge, and experience in the local area. The paper also suggested that agroecological techniques could be modified with limited conventional inputs, for example using both organic and inorganic fertilizers, to increase crop yields (Epule, Bryant, 2016). Although conventional agriculture is currently seen as the only way to produce enough food for the world’s growing population, some people disagree, even the former UN special rapporteur on the right to food who said “Today’s scientific evidence demonstrates that agroecological methods outperform the use of chemical fertilizers in boosting food production where the hungry live, especially in unfavorable environments” (Todhunter, 2016). This indicates that agroecology could, in fact, be the solution to long-term increase in food supply. However, how can agroecological practices be sustained in the short term? According to Colin Todhunter, only with a global movement supporting small farmers, and taking action against corporations (2016). In richer countries agroecological farmers rely on the affluence of their fellow citizens to pay extra for the sustainably produced crops, which will not translate well to poorer countries (Wibbelmann et al., 2013). Another possible route is government subsidies for small farmers and sustainable practices in the Global South. the US and the EU have long subsidized farmers, but these options have not been available to many developing countries, which have been constrained by IMF and World Bank structural adjustment policies. Now, however, some countries are starting to introduce susbsidies. One example is Nigeria, although some of their subsidies are for conventional farming practices such as the fertilizer susidy (Nnoram, 2016). As the world’s population grows, using our scientific and traditional knowledge to work with the environment instead of against it could be our best option for food production. However, there are still many obstacles and doubts. Agroecological crop yields are constrained by natural obstacles. Conventional farming practices have much more money behind them. Even so, as we encounter new environmental challenges, we must change and adapt, or face disaster. Epule, E.T., Bryant, C.R., (2016). Assesssing the effects of agroecological and conventional farming techniques on small scale peasent farmers’ crop yields in the Fako and Meme districts of Cameroon. African Journal of Agricultural Research. Vol 11(10), pg. 849-866. In the previous post, I discussed some of that human rights violations that take place at Sri Lanka’s tea plantations, specifically the issue of forced sterilization. Unfortunately, human rights issues expand beyond Sri Lanka’s tea plantations. Garment factories are another dominant source of the inequalities female workers face throughout developing nations; I will focus on Sri Lanka and Bangladesh, in particular. Due to strenuous working hours, threats and intimidation by authorities, and a lack of attention to safety standards, women continue to be exploited in the industrial workforce. Working hours for the majority of garment workers are from about 7am-4pm; tardiness is punished by wage cuts (Samarasinghe, 1998). Quota targets are set for each individual worker, and the inability to meet such production targets often results in various punishments, including working overtime without pay and being subjected to humiliating practices. An example of these humiliating practices is placing a black flag on the individual’s work table, which requires the worker to stand in front of the others (Samarasinghe, 1998). The use of bathroom breaks during work hours is strictly controlled and medical facilities are either minimal or nonexistent. This is problematic because there are laws that have been rescinded by governments in order to promote export production. For example, in 1982, the Sri Lanka government withdrew from ILO convention No. 89 which prohibited night work for women employees because they wanted women to work night shifts (Samarasinghe, 1998). Specifically, night work became an option in which women had to choice to be apart of. However, in reality, women do not have the choice to work a night shift or not because due to their subordinate position, they do not have the power to refuse to work when asked by management. Altering and/or failing to properly acknowledge the presence of legal documents is violating the Universal Declaration of Human Rights. The United Nations General Assembly ratified the declaration on December 10, 1948 in hopes of universally protecting fundamental human rights. I want to pay close attention to articles three and five in particular. Article three states that “everyone has the right to life, liberty, and security of person”; article five exclaims that “no one shall be subjected to torture or to cruel, inhumane or degrading treatment or punishment” (UDHR, 1948) Denying female workers reasonable working hours and wages is violating article three because they do not have the “right” or “power” to stand up to business owners. Their freedom is evidently limited because if they refute the commands of owners, they will be punished. Workers do not have the freedom to do certain things that we may take for granted, such as using the restroom without strict supervision and being provided with necessary medical care. Furthermore, business owners are repeatedly violating article five by subjecting workers to acts of humiliation when they do not meet production quota. Business owners are also taking advantage of the workers’ labor by forcing them to work overtime hours without pay. This is ultimately representative of local exploitation at the hands of globalized power relations because this treatment is allowed due to the lack of labor laws that prevent it. As stated in the previous blog post, the garment industry has launched the “garments without guilt campaign” to improve the image of the sector. With this being said, according to the ILO, enterprises in EPZs should improve the working conditions and pay in the zones. The enterprises should also “abide by the labour laws, in particular, related to equality at work, freedom of association and collective bargaining, and promoting social dialogue” (Otobe, 2013, 18). The goal is that by improving working conditions, the overall employability and productivity of workers will be improved, allowing Sri Lanka’s industrial competitiveness to flourish on the global market. The issues in Sri Lanka’s garment factories are also present in one of their neighboring countries, Bangladesh. Since the April 2013 Rana Plaza garment factory collapse in Dhaka, Bangladesh, many workers who have tried to form unions to address abuses in factories face threats, intimidation, dismissal, and sometimes physical assault by factory managers or “hired thugs” (Burke, 2015). In addition, researchers interviewed 160 workers from 44 factories in and around Dhaka and they heard complaints of physical assault, verbal abuse, forced overtime, unsanitary conditions, denial of paid maternity leave, and failure to pay wages and bonuses on time or in full (Burke, 2011). Therefore, even though western companies say that they are going to be more thorough in monitoring the working conditions at their factories, Bangladesh garment workers still continue to suffer from poor working conditions nearly two years after these reform vows. This is significant because failure to properly enforce labor laws can lead to future Rana Plaza disasters. The lack of attention governments and multinational corporations have paid towards the poor working conditions has caused chaos in Bangladesh. Specifically, in July 2008, 12,000 Bangladeshi workers from five different companies in Kuwait went on a four-day strike demanding pay hikes and better working conditions. According to an article from Bangladesh News, the workers told reporters in Kuwait that they were living under unhygienic and inhumane conditions in the Gulf state (Bangladesh News, 2008) The foreign ministry issued a statement forcing workers to go back to work by saying that it is their duty to obey the Kuwaiti laws (Bangladesh News, 2008). This article is important because if the ministry wants workers to obey certain laws, they in return, need to enforce policies that provide workers with substantial wages and safe and sanitary work environments. Otherwise, the ministry and governments cannot be surprised when workers go on strike and retaliate as a result of their failure to properly address ongoing problems within the workplace. Women in garment factories face a disproportionate threat when it comes to issues such as job insecurity, poor wages, subjectivity to harassment, and intimidation tactics. 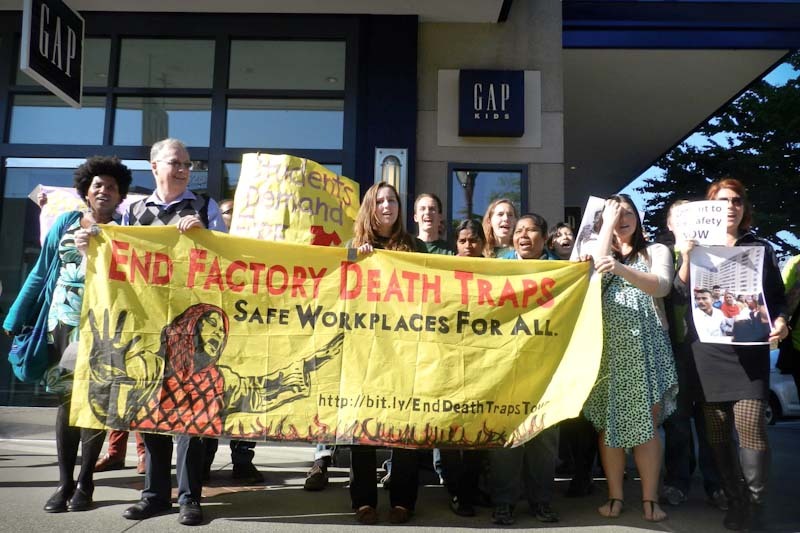 In order to avoid prolonged human rights violations, Western corporations, local governments, and global authorities need to prioritize the safety and well-being of marginalized workers who financially rely on employment in the garment sector. Hello again friends, today we will be talking about Haiti’s healthcare system with a slight focus on the 2010 earthquake that made many suffer. We will discuss how people managed to get through the massive natural disaster with the help of foreign aid. In, fact we will also see the negative effects this foreign aid brought for the locals. One of the most recent catastrophe’s in Haiti was the 2010 earthquake. I know I definitely remember how heavily broadcasted the disaster was. The images were horrific, many died, many were left homeless, and many survived without their family members. Richard Pallardy of Encyclopedia Britannica states in his article “Haiti Earthquake of 2010” that the earthquake consisted of several aftershocks that happened days after. The initial and strongest one was of 7.0 magnitude reaching as far as far as 15 miles followed by two aftershocks in the same day of 5.9 then 5.5. The last time Haiti was hit with an earthquake of such enormity was in the 18th century, and the closest one to this one was a 6.9 in 1984. The country was left in ruins mainly because of the lack of building codes. The cathedral and the national palace completely fell as well as the UN headquarters and the parliament building. Pallardy states, “The country was ill-equipped to deal with such a disaster”. Although citizens and international charities attempted to provide medical assistance, water and food Pallardy writes that they were slowed down by “the already unreliable electric power system”. In turn, communication was hindered, as was the movement of aid throughout the country. James Wilentz of the New York Times discusses in his article “In Haiti, a Lesson for U.S. Health Care” about his time spent in Haiti one month after the monstrous earthquake. He spent time observing Haiti’s healthcare system after the assistance of foreign medical aid. He states that foreign aid was free, and the sudden availability of it “put enormous competitive pressure of the private local doctors who had already been working under difficult conditions” (Wilentz). The private doctors provided services that the public hospitals could not mainly, because they were not equipped with the technology. Wilentz says that those that needed immediate attention were treated first by the humanitarian aid, but days after the earthquake Haitians who had not received medical attention in a long time saw hope in foreign doctors. The earthquake happened on January of 2010, later on in the same year, October to be specific Pallardy states that cases of cholera began to happen. This specific strand came from south Asia, it was the concluded that the outbreak began where the Nepalese peacekeeping forces stationed. The contaminated the Artibonite River, which happens to be the main water house in the island, by them, which carried the bacteria elsewhere. Many organizations say that the United Nations should take responsibility for the outbreak. Ivan Watson and Joe Vaccarello of CNN wrote an article titled “U.N. sued for ‘bringing cholera to Haiti,’ causing outbreak that killed thousands”. Lawyers filed a class action lawsuit against the UN for gross negligence and misconduct on behalf of the victims of the cholera outbreak in 2010. The United Nations has denied responsibility and claims immunity under a 1946 convention, and in January of 2015, a judged dismissed the lawsuit. Apart from the mayhem that happened in the country in 2010, USAID’s briefing of global health they state, “While many challenges still remain in the health sector, progress has been made. . . Despite significant health issues in Haiti related to the 2010 earthquake and cholera outbreak, a comparative analysis of the 2006 and 2012 DHS surveys revealed positive trends on key healthcare indicators, particularly those related to women and children”. This means that the efforts to make progress in the country are making an impact, but other health issues persist. “Global Health.” Global Health. N.p., n.d. Web. 30 Mar. 2016. Pallardy, Richard. “Haiti Earthquake of 2010.” Encyclopedia Britannica Online. Encyclopedia Britannica, n.d. Web. 30 Mar. 2016. Watson, Ivan, and Joe Vaccarello. “U.N. Should Take Responsibilty for Haiti’s Cholera Woe.” CNN. Cable News Network, 10 Oct. 2013. Web. 30 Mar. 2016. Wilentz, James. “In Haiti, a Lesson for U.S. Health Care.” The New York Times. The New York Times, 28 July 2010. Web. 30 Mar. 2016. Students at the University of Washington protest unsafe working conditions in Bangladeshi garment factories as a part of the United Students Against Sweatshops’ “End Death Traps” campaign (http://bit.ly/1Thb2xy). In my introductory blog post, I noted I would focus on “development from the bottom up,” coming from citizens, not undemocratic NGOs, state-run aid agencies, or Bretton Woods institutions. The self-determination of communities in underdeveloped countries can take power to dictate their own futures. But it would be naive to pretend this type of organizing is always possible when the working and agrarian classes in these countries are subject to unequal global power relations that clearly benefit Western corporations. So what does it take to help challenge these unequal global systems? One possibility is transnational student/labor solidarity. Transnational student solidarity has taken a number of forms in the United States. From the New Left’s solidarity with anti-colonial revolutions in the 1960s and 1970s; organizing against both South African Apartheid and the current Israeli occupation of Palestine; and, transnational student/labor solidarity in the 1990s and 2000s. Student/labor organizing of this period arose simultaneously with the anti-globalization movement as a way to support workers in newly exploited economies by either mitigating the effects of globalization or struggling directly against the corporations which drive the global system. In this post, I will focus on two differing approaches to student/labor solidarity in the 2000s by United Students for Fair Trade (USFT) and United Students Against Sweatshops (USAS). Formed with the help of FairTradeUSA , an organization which helps certify fair trade farms and companies, in 2003, USFT was built as a student organization to help strengthen the growing fair trade movement in the United States. The goal of the fair trade movement was, and still is, to have corporations from the United States source a percentage of their production from small scale cooperative farms in the global South. These farms create more just living and working conditions than large scale agriculture. At the time, UFTC and FairTradeUSA worked together to help pressure brands to agree to source their products from fair trade producers, and in turn, when/if corporations agreed to the terms, a corporation’s product would receive the “Fair Trade Certified” (FTC) label (Wilson and Curnow 2013). The other half of the USFT/FairTradeUSA organizing focuses on promoting the Fair Trade brand to consumers and Universities in the United States. The idea was that consumers would not only purchase Fair Trade products, but become politicized by choosing the more “just” option. This is where it gets messy. In order to politicize these consumers and create a larger market share for fair trade farmers, USFT needed to convince consumers to buy products which were FTC. Thus, a large part of student organizing focused on building the Fair Trade brand names. FairTradeUSA, a private, unaccountable NGO, appropriated student solidarity with farm workers to build the FTC, and helped corporations profit from their “fairwashed” products. In 2005, FairTradeUSA, asked students to encourage consumers to buy products from companies like McDonalds, Walmart, and Coke, which sold FTC products. Students claimed these companies had been involved in human rights violations abroad, and had (and still have) inhumane working conditions in the United States. Students did not feel marketing for Walmart helped the fair trade cause (Wilson and Curnow 2013). USFT faced the contradictions of working with the undemocratic NGO, FairTradeUSA, which profited off the Fair Trade label, ignoring whether it benefited farmers in the global South. Neither students, nor farmers, had a say in which corporations earned the label or the terms of FTC conditions. In 2011, students were so fed up they declared a boycott of all FTC products, claiming FTC products were illegitimate and not representative of an authentic fair trade movement. A central demand of the boycott was to make the majority of FairTradeUSA’s board of directors ‘farmers, producers and workers, community and student activists, academics, and 100 percent Fair Trade businesses’ (USFT 2011; Wilson and Curnow 2013). FairTradeUSA has yet to hand control to these groups, thus leaving the “fair trade” brand in private hands. Today, USFT works with Equal Exchange to source fair trade bananas, and is organizing against the Trans Pacific Partnership. The USFT case provides a lesson to student activists engaging in transnational labor solidarity. The importance of democracy in any organization is clearly central to developing effective, representative campaigns. Secondly, the organizing shows that commodification cannot occur with development from below, because commodities require that someone profits. And most importantly, USFT’s organizing shows the necessity of centralizing workers/farmers in any solidarity campaign to maintain workers/farmers interest. United Students Against Sweatshops (USAS), an democratic organization which centralizes workers, provides a second example of transnational solidarity. Formed in 1997, USAS grew out of the anti-globalization movement with the objective of supporting workers subject to sweatshop working conditions in underdeveloped countries. Many of the companies who subcontract their production to sweatshops also profit from lucrative contracts with universities in the United States. The strategy behind USAS’ “International Solidarity Campaigns” is to use students’ unique position to pressure brands through universities by cutting contracts when workers report sweatshop conditions, “such as poverty wages, forced overtime, sexual harassment, union busting, and health and safety violations,” in global factories (USAS 2015). This organizing then links with workers struggling on the ground for better conditions through workers centers, unions, or NGOs. In this way, “transnational alliances enable [multiple] groups to exert leverage over the various links in the commodity chain” (Cravey 2004); students threaten the the legitimacy of brand names (Ibid. ), while workers pressure brands in factories. In this sense, students provide leverage and make space for worker to define their labor conditions. Workers Rights Consortium (WRC) acts as the intermediary body between USAS organizers and workers in the factory. As an independent observer of factory conditions, the WRC helps school administrators “sign codes of conduct for the producers of apparel bearing university logos” (Silvey 2013). Through years of struggle, USAS locals have pressured 183 universities (including Clark) to sign on to the WRC. By signing this agreement universities financially support WRC factory observations to prevent inhumane working conditions, and enable international solidarity around factory working conditions. The WRC is made up of a 15 person democratic governing body; USAS students, national and international labor organizers and NGOs, and affiliates of university administration. Additionally, a much larger advisory board, including national and international labor organizers and academics, help WRC organizers develop more inclusive strategy with factory workers. So unlike FairTradeUSA’s undemocratic structure and self-interest in profiting off the FTC, which students and farmers could not hold accountable, the WRC is built upon a foundation of student/worker democracy and has a self-interest in worker justice. Multiple spaces of struggle can occur along the supply chain and empower students and workers at the global and local scale. For students fight exploitative conditions within university contracts i.e., subcontracting to global brands. The consciousness developed through sweatshop solidarity also enables students to connect these conditions to low-wage workers on campus. For workers, the struggle is against the exploitative and inhumane conditions of the subcontracted factory i.e., the immediate conditions of their day to day lives. On a larger scale, solidarity among students, workers, and labor NGOs enables transnational struggle against the proliferation of low-wage production. Global exploitative conditions necessitate global networks of struggle. The development of transnational resistance has the power to challenge neoliberal hegemony that is not possible when workers or students organize in isolated spaces. The student/WRC/worker organizing model has resulted in sizable material gains for subcontracted workers in underdeveloped countries. First, as stated above, USAS has forced 183 universities, and the brands that make these universities’ logos, to agree to WRC investigations. Furthermore, Student solidarity helped Guatemalan workers win the first ever union contract in a maquila in the late 1990s (Cravey 2004); in 2010, USAS and the Honduran CGT [General Workers Central, a union] won a settlement with Nike, who agreed to pay $1.5 million in severance and a year of health insurance, plus hiring priority for 1,800 Honduran workers when Nike left the factory (Jack 2010); and in 2012, USAS and Indonesian workers pressured Adidas to pay $1.8 million in severance to 1,300 fired workers in Jakarta, Indonesia (Kong and Ortiz 2013). Most recently, USAS has been involved in organizing with Bangladeshi garment workers who face astonishingly dangerous garment factory conditions. In recent years, workers have experienced devastating, and preventable factory fires and collapses. One of the worst and most well known being the Rana Plaza collapse which killed more than 1,100 workers and injured more than 2,000 workers (Parveen 2014). From 2013-2015, USAS pressured brands to sign the Accord for Fire and Safety, a binding agreement which allowed the WRC, local unions, and workers centers to take part in investigating unsafe factories and recognizing workers’ rights to refuse entry to unsafe factories (Rahman 2013). The fact that workers have a voice in the accord’s decision making process is an unprecedented win for Bangladeshi workers (Ibid). Additionally, USAS has played a pivotal role in forcing brands sourcing from Rana Plaza to pay compensation for workers and their families. The VF Corporation, which owns 30 brands such as, The Children’s Place and Jansport, refused to give to the fund (Arria 2015). Through student protest and occupations, USAS was able to force the Children’s Place alone to give $2 million (Shestack 2015). A photo of the Rana Plaza disaster – Google Images. USAS student/labor solidarity has been effective in pressuring brands to create more just working conditions and be held accountable for firing workers or mass murders. Despite large and amazing gains, the model has yet to create new opportunities for workers who don’t rely on employment from transnational corporations for Western consumption. James Heintz helps provide a broader analyses to address poverty and inhumane conditions in underdeveloped countries. Heintz notes, workers in developing countries don’t just need better working conditions, but “more and better jobs” which offer a number of high paying employment opportunities, not just jobs from a single industry (2004). Heintz suggest that the anti-sweatshop movement can’t solely focus on immediate working conditions at the point of production. Instead, worker movements must address macroeconomic policies, such as social security protections, which extended to all people, not just those employed by a specific brand or in a specific industry (Ibid). This critique can also be applied to USFT’s work, which only focuses on creating market share for cooperative farmers. I think Heintz’s critique helps point towards a future for the anti-sweatshop movement. Yes, international labor solidarity must help workers struggle for broader social security services, if that is what workers want. But the only way to achieve these policies is through movement organizing. Transnational solidarity helps make space for worker organizing in underdeveloped countries. Organizing begins on the factory floor, but with solidarity, can grow and gain strength to impact macroeconomic policies. The Bangladeshi state’s response to factory collapses thus far has shown worker’s ability to make drastic changes in an industry. International solidarity is necessary in combating the proliferation of inhumane working conditions globally, and building development based on justice. USFT and USAS have shown two strategies for helping further the struggles of workers and farmers in underdeveloped countries. USFT’s organizing focused on creating a larger market share for FTC brands. But as we saw, this campaign was wrapped up in the commodification of student activism and worker conditions by building the FTC brand name. The case highlights the importance of focusing on worker struggle, instead of attempting to address issues of uneven development via further consumption. The USAS case highlights the importance of student/worker coordination in supporting worker struggles on the ground via international solidarity. This model strengthens individual student and worker struggles locally against exploitative conditions and privatization, while fighting neoliberalism globally through networks of students, workers and democratic NGOs. Thus, coordination, solidarity, and accountability provide a model for engaging in transnational organizing. Lastly, USAS’s model helps make space for workers to further their organizing and define their countries own development path with the strength of growing organizations. The continued struggle of workers and growing solidarity abroad could enable further worker involvement in deciding the fate of their future. In the interest of transparency, I myself am a member of USAS and help run a USAS local on Clark’s campus called “Activists United”. Get in touch if your interested in local and global labor solidarity! Check out local USAS efforts near you. Arria, Michael. 2015. “Students Ask Why JanSport Parent Company Won’t Sign Bangladesh Worker Safety Agreement.” In These Time, May 15. Cravey, Altha. 2004. “Students and the Anti-Sweatshop Movement.” Antipode 36(2). Heintz, James. 2004. “Beyond Sweatshops: Employment, Labor Market Security and Global Inequality.” Antipode 36(2). Jack. 2010. “Victory! Nike ‘Just Pays Is’; Students and Garment Workers Beat Sportswear Giant!” USAS.org, July 26. http://justpayit.usas.org/2010/07/26/nike-just-pays-it/. Kong, Lingran and Mark Ortiz. 2013. “Victory in Nicaraguan Adidas Factory As Adiddas Garment Workers Stage Global Protest.” USAS.org, November 8. http://usas.org/tag/adidas/. Parveen, Shahnaz. 2014. “Rana Plaza Factory Collapse Survivors Struggle One Year On.” BBC, April 23. http://www.bbc.com/news/world-asia-27107860. Rahman, Fazlur Md. 2013. “Trade Unions Vital for the Safety Accords to Succeed: Scott Nova of Workers Rights Consortium Says.” The Daily Star, August, 23. http://www.thedailystar.net/news/trade-unions-vital-for-the-safety-accord-to-succeed. Shestack, Miriam. 2015. “On 2-Year Anniversary of Rana Plaza Factory Collapse, Activists Announce Major Victory for Victims.” In These Times, April 24. Silvey, Rachel. 2013. “Geographies of Anti-Sweatshop Activism.” Antipode 36(2). USAS. N.a. “Garment Worker Solidarity.” Last modified 2015. http://usas.org/campaigns/garment-worker-solidarity/. Wilson, Bradley and Joe Curnow. 2013. “Solidaritytm: Student Activism, Affective Labor, and the Fair Trade Campaign in the United States.” Antipode 45(3). Workers Rights Consortium. N.a. “Governance.” Last Modified N.a. http://www.workersrights.org/about/govern.asp. Ever since Thomas Malthus came up with the idea that humans are going to run out of resources on Earth causing unthinkable catastrophe, Earth’s growing human population and finite resources have been cause for concern. One of the main resources of concern is food. Malthusian concerns regarding lack of food were temporarily stalled by the second green revolution, which greatly increased food output. However, the second green revolution was driven by increased chemical (pesticide, fertilizer, etc.) use, and an increase in gasoline powered machines, which raises questions about sustainability (McMichael, 2012). I believe that we should explore as many possible solutions to lack of food, and sustainability of food production, as we can. Here are just a few examples. One solution that has been put forward to sole the world’s food problems is genetically modified (GM) crops. In a policy paper from the Environmental Working Group, Emily Cassidy argues that these crops, especially genetically engineered crops, have failed to improve agricultural production (2015). This is a highly contentious topic, and further research should be conducted, preferably by an independent source, that is not part of the fight between Monsanto, Cargill, etc. and environmental groups. However, Cassidy also gives many alternatives to genetic engineering. These include: growing more crops that require less fertilizer, and using more fertilizer in regions that require fertilizer for agriculture as opposed to further fertilizing already relatively fertile areas. Reducing the use of biofuels such as ethanol, which use corn that could be consumed by humans. Changing the diet of richer humans to decrease the prevalence of meat, and reducing food waste (2015). You have probably heard two of these ideas before, even though you did not know it, from your high school biology teacher, and your grandmother. In high school biology your teacher probably taught you about trophic energy levels in ecosystems. The bottom level is producers, including grains, soy, etc. The second level is herbivores, including cows. Between each levels, approximately ninety percent of the available energy is lost, which means only ten percent is transfered. Most beef cattle today are grain fed. That means we could greatly increase the energy in biomass available to us if we just ate the grain or soy we feed to cattle, instead of eating beef. Now to your grandmother. If she is anything like mine, probably encouraged you to clean your plate and refused to throw out any food. It turns out your grandmother has been doing her part to help feed the world this whole time. Now I will move from policy and consumer behavior to specific methods of producing food. The first is aquaponics. This is a process of farming fish and plants in the same process. Some benefits of this system include the excretion of fish being high in nitrogen, which the plants need (increasing nitrogen availability is the goal of fertilizer). One problem with aquaponics is that plants and fish generally do best at slightly different pH’s (acidities).To this end a group of German scientists and engineers has designed a new aquaponic system with fish and plants in separate tanks, and a filter in between through which the water flows. The whole process is contained in a greenhouse powered by solar panels. the greenhouse also has a water condenser to reuse evaporated water (Kloas, et al., 2015). This is a great example of an idea for sustainable food production that should be encouraged. Fish could become a more sustainable source of nutrients and especially protein than terrestrial animals such as cows. Although most fish humans eat, such as tilapia, which was the fish used by the aforementioned scientists, are at or above cattle in terms of trophic level, fish are cold blooded, while traditional livestock are warm-blooded. Warm-blooded animals require more inputs of energy to regulate their temperature. As a result, fish may require less input of biomass for greater output. One problem with this system, however, is that it requires significant inputs to get started, fish tanks, a greenhouse, filters, water condensers, etc., that may not be possible for many people, especially in poorer states. The next, and last, two examples come from developing countries. The first comes from Eastern Africa. Farmers, who occupy land that was previously deforested are being encouraged to plant trees. By restoring trees, farmers improve their soil, and prevent it from eroding, which improves grazing for their livestock. These farmers generally cannot afford to buy fertilizers, and “Many tree species are nitrogen-fixing species”(Kibet, 2016). The last example comes from India. Farmers in very dry parts of India have found that traditional flood irrigation was insufficient. In addition, conventional arid irrigation such as drip-irrigation lost too much water to evaporation. To prevent this, scientists devised an irrigation system that collects rainwater and keeps it covered from the sun. The water is taken to the plants and then dripped into the soil underneath the plant, underground. Using this system, much less water is lost to evaporation. Currently, farmers have to have some wealth to put the system in place that is out of reach of many small farmers. NGOs and the regional government are helping many such farmers by subsidizing the cost of installing the new irrigation, but most are still left behind (Suchitra, 2014). The main point of this blog post is to show how many diverse ideas there are to increase sustainable food production. in my opinion we should not try to rely on just one solution as if there is a miracle cure to providing food for the whole world. There is a multitude of solutions, and all of them should be explored. McMichael, Phillip (2012). Development and Social Change:A global perspective (5th ed.). Washington, D.C.:Sage Publications, Inc. In my last blog post I noted that the consumed are in shackles, but I failed to explain who was responsible for their shackling. Looking into the past provides a clear image of those responsible for shackling the consumed people of the Global South, white imperialists. With the perceived idea that those living in the Global South were uncivilized, Westerners swarmed into areas of the Global South to bring order to uncivilized societies. With this oh so gracious goal in mind imperialists bestowed uncivilized people with the glorious gift of monoculture. Obviously the fad of sustenance farming was out; food insecurity and poverty were the new cool. Imperialists did not just colonize new lands for the purpose of bringing about change, they colonized new lands for the purpose of making money. This hunger for profit was largely achieved through changing agricultural practices. As Westerners gained control of land in the Global South monoculture slowly replaced small sustenance farming. Unlike sustenance farming, which is the cultivation of a variety of different crops, monoculture is the cultivation of a single crop in a single area. As more of the land in the Global South was consumed by imperialists and monoculture local peoples faced two problems. Problem 1: As monoculture became more prevalent in the Global South small farmers could no longer make enough money off of their produce in order to survive. A Human Development Report found that, “the risks and benefits of agro-exporting are far from evenly shared out, while the state does nothing to try to give the small farmers more bargaining muscle (Marañón 4). Essentially, the people of the Global South were being pushed into a state of impoverishment and there was nothing they could do about it. Problem 2: As farmers in the Global South slipped into poverty they turned towards monoculture as a solution. In order to make money they had to rely on the cultivation of a single cash crop. Reliance on single cash crops created food insecurity across the Global South. Rather than growing food that supported a sustainable diet farmers were growing crops that did not support a sustainable diet. In 2008 alone, “FAO reports indicated that another 40 million people were pushed into hunger, primarily due to higher food prices” (Shepard 30). It is hard not to correlate this disturbing statistic with the rise in monoculture based agriculture and impoverished farmers. While the past few paragraphs are written in the past tense by no means has the exploitation of local peoples ended. If anything, since the dawn of imperialism and monoculture in the Global South agribusiness has caused a spike in exploitation. Agribusinesses are large commercial farming corporations that utilize monoculture, advanced technology, and other harmful farming techniques to make a large profit. As Huffington Post journalist Evaggelos Vallianatos noted, “Brazilian agribusiness is financially healthy, but its footprint has been very unhealthy on Brazil and the world.” In this statement he is referring to the mass destruction of the natural environment in the pursuit of profit. And which demographic of people does the destruction adversely effect? Local peoples and farmers in the Global South. These large businesses are not just forcing small local farmers off their land and into poverty, they are harming marginalized peoples across the globe. Now many of you may be asking what you can do about these large corporations harming local farmers if you live so far away. The better question you should be asking is what you are already doing. If I walk into any given grocery store in the Untied States available to me is produce and food from around the globe. A majority of the produce I can buy isn’t produced by small farmers in the Global South, if that was the case prices would soar through the roof. In order to meet the needs of mass consumers in the Global North agribusiness in the Global South becomes more and more prevalent. A branch of Walmart based out of India sells baby corn for 200Rs/kg, but the farmers who grow the corn only get 4% of the high price that consumers pay (Sharma 1). Clearly the farmer is not the actor benefiting from this consumer driven supply chain. While the creation of agribusiness created a new market for foreign goods in the Untied states consumers are responsible for fueling the demand for foreign food and the continued development of agribusinesses. Consumers are driving the need for monoculture, which fosters the growth of agribusinesses. We, as consumers may not have placed the shackles on the consumed peoples of the Global South, but we certainly have contributed to making those shackles tighter and heavier. Marañón, Boris. Tension Between Agricultural Growth and Sustainability: The El Bajio Case, Mexico. No. HDOCPA-2006-40. Human Development Report Office (HDRO), United Nations Development Programme (UNDP), 2006. Sharma, Divider. “Leaving Farmers to Reap the Bitter Harvest.” Hindustantimes. HT Delhi, 20 Jan. 2014. Web. 25 Mar. 2016. Shepard, Daniel. “Land grabbing and potential implications for world food security.” Sustainable Agricultural Development. Springer Netherlands, 2011. 25-42. Vallianatos, Evaggelos. “Food Power in the Unpromised Land of Brazil.” Huffington Post. HuffPost Green, 9 May 2015. Web. 25 Mar. 2016. Is PISA a good way to measure a student’s success or abilities? Take a moment to think about how you would describe education—What is your definition on education? Is education a one-way street? Is education measurable? Is education a competition? What does it mean to have a good education? How do you receive a good quality of education? For the last couple of years, I have been pondering on the concept of education. I am trying to understand and figure out how do we receive a “perfect” or a “great” education. Then I begin to think how do the institutions know that they are giving their students a “good” education. Finally, I realized that the way the institutions or the countries know that they are giving their students a good education is through an assessment. The assessment is what determines a child’s ability and the institutions educational quality. We, as a society, depend on these assessments so much, which is a problem. It is problem because we are losing the meaning of education, pushing away students from wanting to enjoy learning, disrupting their confidence, and judging their intelligence abilities. The first blog, I briefly mentioned an international assessment sponsor by OECD (Organisation Economics Co-corporation) called PISA (Program for International Student Assessment). Pisa is an international assessment that measures 15-year-old students’ intelligence abilities on reading, math, and science every three years. The purpose of this test is to measure the students’ performance, and a way for other countries to see how well they are doing in comparison to their opponents. According to the OECD website, Pisa give the countries an idea on how well is their education system structured and are their students ready for the “real-world”. However, OECD does not consider that PISA should not be an assessment that determines a country’s educational system, especially when comparing underdeveloped countries. If we compared an underdeveloped country to a developed country, we are not considering other factors to why one country education system is better than the other one. We need to take into account that underdeveloped countries limited to resources, the political power, culture, and religion plays a huge role to a child’s education as well. There are so many components that plays a role to how the students perform in their exam and school. In the OECD policy brief, they give a brief overview on the way the education system is structure internationally, and input their perspective on possible ways to rebuild and help students receive a “good” quality of education. One of the factor they mentioned was inclusion. OECD stated in their policy brief that “… inclusion… ensuring basic minimum standard of education for all—example that everyone should be able to read, write, and do simple arithmetic.” It is challenging to engage and teach students how to read, write, and do math when there are students who have different ways of learning something and are interested in different subjects. I get the whole concept of being inclusive, but we cannot bring all the students together teach something and expect them to do it the way it was taught. In relation to PISA, inclusion involves memorization being able to remember a formula for an exam, in this case, for PISA. The policy brief states their western views without considering the countries views on how their education should be structure or what should be taught. According to OECD, “National testing of individual student performance on basic skill is a fundamental look to measure both individual performance of schools.” The problem with OECD, is that they believe Pisa is the solution to determining if the child is ready to go out in the real world without thinking or considering other factors to why the child is not performing well. In the theguardian article, OECD and PISA tests are damaging education worldwide-academics, writes to the organization their thoughts and feelings on the PISA assessment. The article mentioned, “In education policy, Pisa, with its three-year assessment cycle, has caused a shift of attention to short-term fixes designed to help country quickly climb the rankings…” Instead of focusing where the students need help in the most, they focus on giving them information to how to pass the assessment, in other words, the educators are pressure to teach students to the test; All this is to simply win that number one spot. Previously, I said that the policy brief stated we need to be inclusive, but my question is how can we be inclusive if our mind is set on the assessment and students are trying to keep up and memorize everything before the three-year mark is due? Inclusive does not mean let’s focus on this and make sure to keep up, inclusive means to understand the student and help the student get better at that particular subject or field. “OECD and Pisa Tests Are Damaging Education Worldwide – Academics.” The Guardian. Guardian News and Media, 06 May 2014. Web. 28 Mar. 2016. Posted on March 28, 2016 Author Eunice ZepedaCategories UncategorizedLeave a comment on Is PISA a good way to measure a student’s success or abilities? Cooperatives have recently become the hot topic of economic development and sustainability in the United States. Many of us have visited food co-ops, or may even be members of “cooperatives,” like REI. This is especially relevant for those of us in Worcester who have seen the growth of new cooperatives and subsequent benefits for workers, members and the broader community. But why are cooperatives also relevant to international development, and what is it about cooperatives that help individuals and communities? Surely corporate, “REI style” cooperatives aren’t the answer to help decrease poverty in the Global South, right? I truly hope not. I’ll be focusing on international co-op development and the multiple approaches to co-ops in “development” projects. So to put these principles simply, a cooperative is a democratically run enterprise which shares its profits and other benefits with that membership. Many cooperatives have a democratically elected board, member owners who may purchase goods from a cooperative, and workers who provide the labor power and also have democratic control. I would argue that the democratic voice workers have in the cooperative is what differentiates a corporate style cooperative like REI, from what I would call a “true” cooperative which benefits both workers and members. These cooperatives can take many forms, including manufacturing, agricultural production, and credit unions. There has been a notable increase in the focus of co-op development globally in the past ten years. As a response to the global economic crises in 2007-2008, the UN General Assembly declared 2012 the international year of co-operatives (Mills and Davies 2012). The hopes are that expanding co-operative development can help bring about less global inequality and increase democratic practices in society (Mill and Davies 2012). Then in 2012, the International Co-operative Alliance (ICA), a 289 member cooperative alliance which spans across 95 countries, declared 2010-2020 the “Co-operative Decade”. The goal for the decade is for policy makers to acknowledge co-operatives as the “leader in economic, social and environmental sustainability,” and focus on co-op development as a primary component of economic development. Secondly, the ICA wishes to deepen existing international co-op networks and establish types of solidarity economies which aid independent co-ops and help create new co-ops through these networks (Mill and Davies 2012). The benefits of existing co-ops thus far have been notable. Research has shown that co-operatives have helped small scale farmers in negotiations for farming supplies through their collective strength, expanded access to financial services for low-income communities and expanded access to water and electricity to low-income people globally (UKaid 2010). But although co-ops have helped marginalized people globally, co-op expansion still occurs under the same capitalist development framework. ILO Recommendation 193, in support of cooperatives, noted to governments ‘that pursuing [a cooperative] agenda does not mean pleading for special treatment, subsidies or favors,” from governments (Mill and Davies 2013). Nor is there special protection recommended for cooperatives in relation to other privately owned capitalist firms. How are small scale farmers expected to compete with transnational corporations without special government protection? Why shouldn’t co-ops receive preferential treatment if benefit the collective good and not private profit? Countries like Nicaragua have centralized cooperative growth as a way to democratize the economy. Today, more than 5,000 cooperative firms exist in the country, “involving more than 389,000 families” (Tortilla Con Sal 2015). But “duty-free trade zones” also exist in Nicaragua, employing 140,000 people (Tortilla Con Sal 2015). It seems unjust that cooperative workers should have to engage in a race to the bottom with transnational capital. My research on cooperatives has left me with question regarding whether or not the internationally co-op solidarity networks, like the ICA, are enough to protect small co-ops from competition with international capital? And if not, how can co-ops limit the growth of capitalist firms? I think that this must begin not with the policy agenda set forth by the ICA, but instead social struggle to force states to leverage their power against transnational capital. A dialogue regarding development policy cannot move beyond the limits of capitalist logic, without social struggles to force a state response. Alldred, Sarah. “Co-operative can play a key role in development.” The Guardian. 6 July 2013. http://www.theguardian.com/global-development-professionals-network/2013/jul/06/international-day-of-cooperatives. “Co-op Identity and other resources,” last modified N.a., http://valleyworker.coop/new-co-op/. Mills, Cliff and Will Davies. “Blueprint for a Co-operative Decade.” International Co-operative Alliance. October, 2012. Tortilla Con Sal. “Nicaragua: Making Cooperatives Central to Democratization.” teleSUR. 10 September 2015. “http://www.telesurtv.net/english/bloggers/Nicaragua-Making-Cooperatives-Central-to-Democratization-20150910-0001.html”. UKaid. “Briefing Notes: Working with Co-operatives for Poverty Reduction.” Department of International Development. 2010. In my introductory blog post, I briefly mentioned that a large part of the international dialogue surrounding Neoliberal Development argues that free-market capitalism is flawed and a global economic system change is needed to continue the “broad social progress” that the Development Project attempts to facilitate around the globe. Let’s take a closer look at this part of the conversation, the problems faced by the capitalist system, and why capitalism cannot be part of the solution. Capitalism, as a whole, values profit and growth over all other things. In Marx’s critique of capitalism, he explains that this profit comes from an exploitation of surplus value, or the exploitation of labor (Marx, 1867). Mathematically, this is obvious. For a profit to exist, some aspect of production needs to undervalued according to the market, and the easiest thing to undervalue is labor because it is not a physical resource. My personal opinion is that social and environmental factors are just as much of the production process as labor, and the more they are exploited, the higher profits are. This is why a system driven by profit cannot possibly address all the social, economic, and environmental problems facing capitalism. If in someway a form of sustainable capitalism was able to address climate change (which is highly unlikely already), it would would just exploit a different aspect of the production process. For example, the profit lost by reducing carbon emissions or adequately dealing with waste would very likely be made up by further exploitation of labor, or by raising costs and adding stress to the social class structure. This is the opposite of what Development hopes to achieve, which should be means enough to support the idea of an economic system after capitalism, but if it does not, many believe the philosophy of profit in capitalism will result in increasing economic instability. In his paper, Contradictions of Finance Capitalism, Richard Peet argues that three inherent contradictions within capitalism will eventually lead to its demise. The first, finance, is a cause of the speculation of growth within capitalism, which leads to the inflation of prices to unsustainable heights and consequent economic downturns. The second is a disarticulation of the economy, which we are already witnessing in the United States, where all manufacturing is outsourced, leaving the economic base of a country with low-wage work, and high-wage finance/real estate/investment jobs. The final contradiction is the need to exploit the environment, which we have discussed. 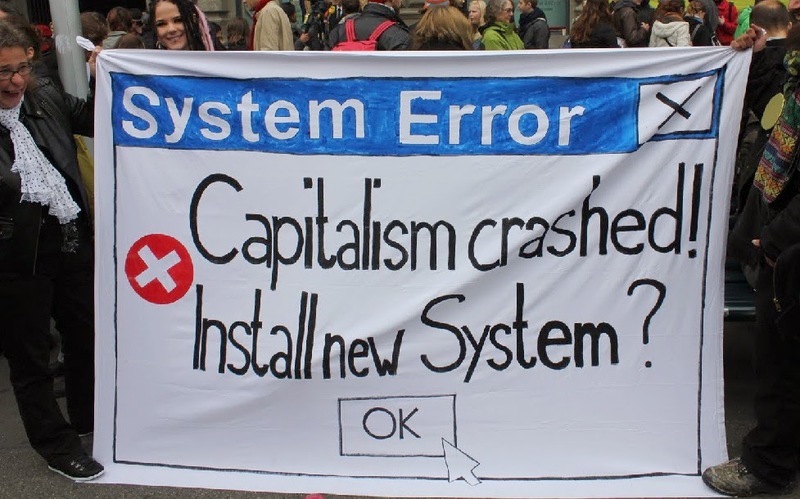 So clearly to fix problems of social justice, economic inequality, and environmental degradation, an economic system based on something other than profit and growth must succeed neoliberal capitalism. When looking at alternatives, often the idea of an economic relativism comes into the picture, where capitalism exists, but societies have the ability to function off of any other type of economy, thus dismantling the global hegemony of capitalism, which is much of the problem. This is a theoretical solution of course, and an impractical one, as I will now show you that capitalism cannot exist in a post-capitalist (post-capitalist hegemony) world. Throughout history, capitalism has not been able to exist with any other type of economy on the planet. During colonialism, capitalism pulled most of the world into the capitalist system from a traditional system. During the Cold War, politics and the Development Project were significantly influenced by capitalism’s war with communism. To many, capitalism prevailing at the end of the Cold War was the inevitable end of history, and there would be no more conflict over which economy should encompass the globe, because capitalism had won (Fukuyama, 1992). The fact that these conflicts even existed though, were the result of capitalism’s drive for profit and growth, and show that the system cannot exist with another. This is often explained by capitalism’s need for an “outside” (Luxemburg, 1913), where, since increased capitalization of an area eventually leads to rising wages and greater social and environmental backlash to the means of production, capitalism must find a non-capitalized region where labor and resources can be exploited as much as possible, again showing that the need for profit will push capitalism across the globe and replace whatever is in its path. So what does a system change entail? Post-capitalism seems to imply that everything related to capitalism must change. Authors like Naomi Klein create that same sense of urgency. Post-capitalism, however, does not necessarily mean that the standard of living associated with capitalism needs to disappear, just that the system of production and values of profit and growth do. The next three blog posts will focus on alternatives to Neoliberal capitalist Development and what needs to change to accommodate those systems. Francis Fukuyama. The End of History and the Last Man. Free Press. 1992. Klein, Naomi. This Changes Everything: Capitalism vs. the Climate. 2014. Print. Luxemburg, Rosa. The Accumulation of Capital. London: Routledge and Paul, 1913. Marx, Karl, Friedrich Engels, and Samuel Moore. Capital. Chicago: Encyclopedia Britannica, 1867. Peet, Richard. “Contradictions of Finance Capitalism.” Monthly Review Mon. Rev. 63.7 (2011): 18. Web. Posted on March 26, 2016 March 27, 2016 Author Robert FranklinCategories Critical DevelopmentLeave a comment on Why Post-Capitalism? Thailand government adopted Import substitution strategy (ISS) in the 1960’s, showing that Thailand had started its industrial development. Under the ISS, modern and private Thai banks, such as Bangkok Bank and Thai Farmer Bank, were established. It demonstrated that Thai capitalism had developed beyond primitive capitalism. From the late 1960’s to 1970’s, Thailand changed its economic strategy from ISI to export-oriented industrialization (EOI). And with that economic policy, Thailand deeply immersed itself into a global trade and an economic globalization, but essentially in terms of trade, not capital market. Specifically, on one hand, the EOI demonstrated that Thailand gradually transformed itself from an agricultural society into a more advanced industrialized society, and, on the other hand, the Thai economy relied on a global market in trading area. Thailand, at this stage, produced goods not only for domestic consumption, but also for significant international export. The most important economic aspect, associating to the economic globalization, was the initiation Bangkok International Banking Facilities (BIBF). The BIBF was a policy of financial liberalization and deregulation, introduced by the Prime Minister Chuan in1993. Its purpose was to facilitate inflow and outflow of the capital, and to make Thailand a financial center of the region. Thanks to those policies, Thai economy grew at an unprecedentedly high rate. Thailand was an attractive place to relocate in because of the high economic growth, low inflation, abundance of cheap labour and rich natural resources. The foreign direct investment bring its domestic growth of manufacturing of agricultural products, including rubber products, textile products, food processing, beverages, and tobacco. The foreign direct investment also established many factories of textiles, closes, machinery and transport equipment.